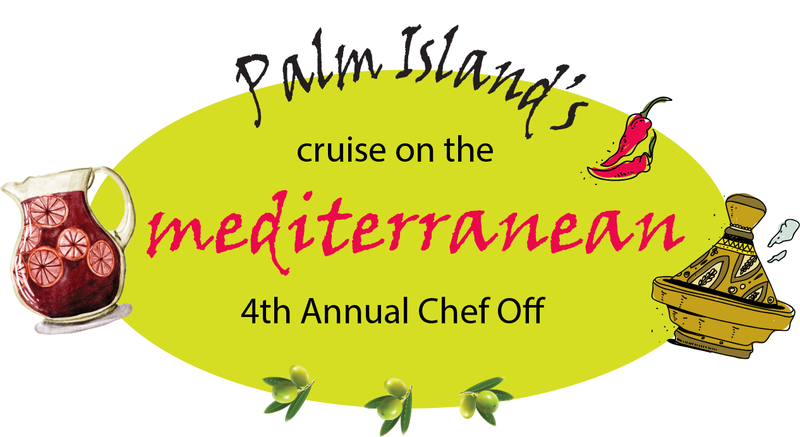 Cruise on the Mediterranean at Palm Island Senior Apartment Homes's 4th Annual Chef-Off! 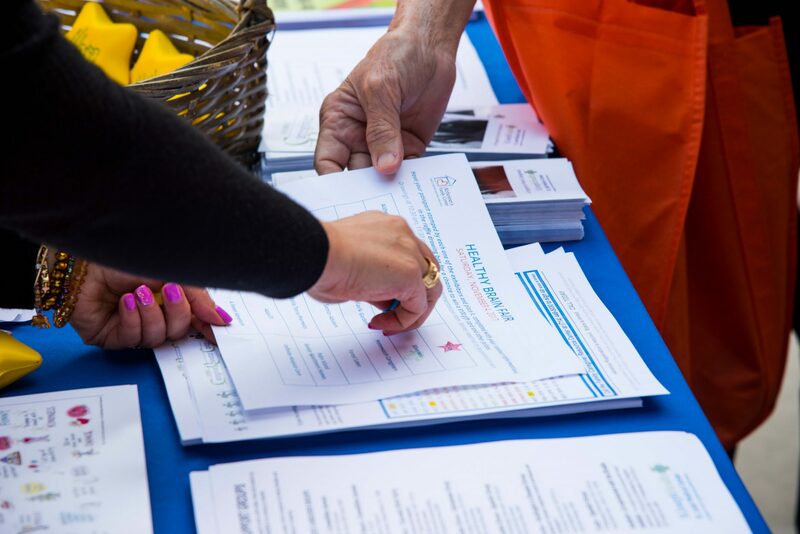 Palm Island’s 4th Annual Chef Off went off with a bang, attracting over 225 attendees to the event. Attendees enjoyed cruising around the exhibition hall, chatting with the vendors and seeing what sort of prizes they could try to win with their ten complementary raffle tickets. 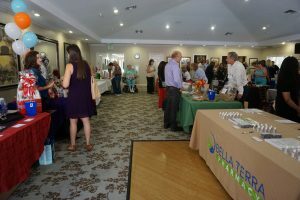 Senior living properties, Medicare representatives, and senior transportation were just a few of the booths that were present. The entertainment of the hour was the cooking competition. 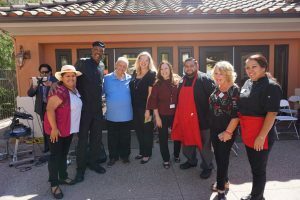 Five local senior living properties chose a country and created a dish and a drink to match the Mediterranean theme. 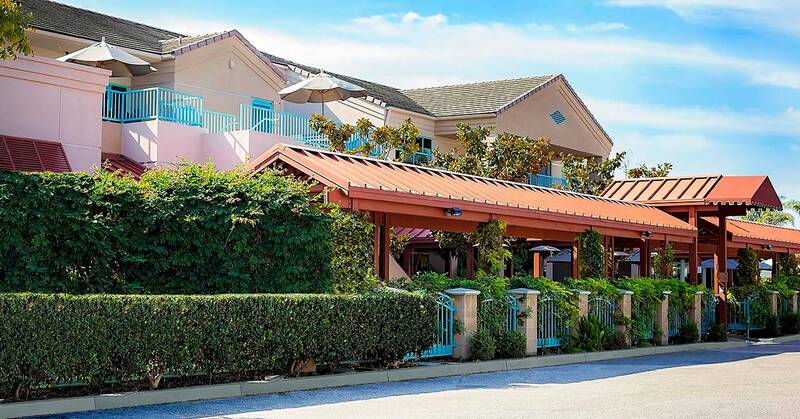 Sunrise Senior Living chose Morocco; Merrill Gardens, Spain; The Groves of Tustin, France; Westminster Terrace, Italy; and Newport Beach Plaza, Greece. Each competitor brought its head chef as a representative along with mouthwatering, savory dishes. 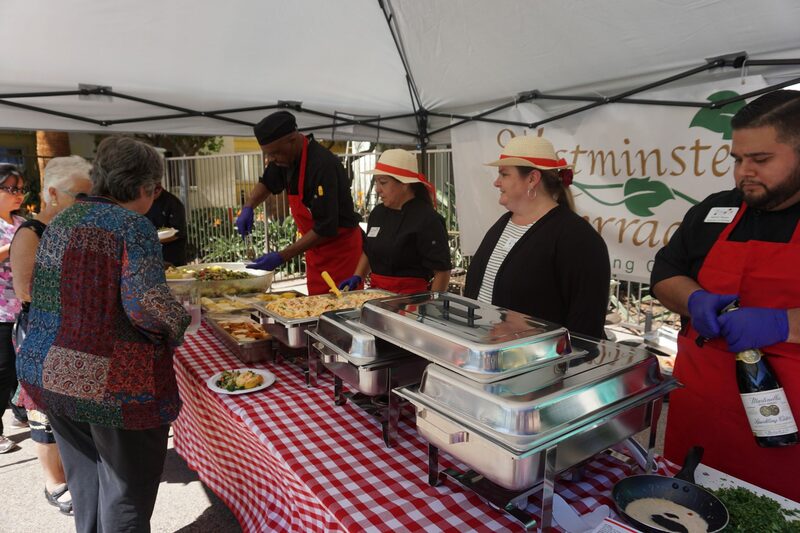 Guests got to enjoy Halibut, Coq au Vin, Shrimp Alfredo, Risotto, and Lamb with pita bread. Accompanied with the meals were a delectable selection of drinks, each one sporting their own personal flair. Peach Bellinis, Greek Mountain Ice Tea, and Sangria were just a few of the refreshing beverages. Once everyone got a taste of each country, they checked off their favorite dish and dropped their voting card in the box. Following a delicious lunch, Palm Island’s Director of Corporate Activities, Kevin Stevens, announced the winners of the vendor raffles. Prizes varied from beautifully crafted gift baskets, slow cookers, and a 200$ Visa Gift Card. AFC’s Director of Clinical Research and Education, Dr. Cheryl Alvarez, then took the stage to express her gratitude for Palm Island’s hospitality and the properties for choosing to participate. Her speech lead to the grand finale: the crowning of the 4th Chef Off winner. After much anticipation, Stevens declared Westminster Terrace the winner. This was Westminster Terrace’s first time competing in the event, and from the way they were cheering, it looks like they might want to take part again next year. The Chef-Off raised over 7,000 dollars for Alzheimer’s Family Center, marking another successful year for the event.